India has adopted the limits on electromagnetic radiation from mobile phones and base stations set by the International Commission for Non-Ionizing Radiation Protection (icnirp), but still not adopted guidelines for regulation. According to an official in the Department of Telecommunications, the delay is because the telecom industry opposes guidelines dealing with the health effects of radiation. On May 27, 2008, the Telecom Commission adopted the limits for power density, that indicates the strength of electromagnetic radiation, and the rate of radiation absorption by the body, called the specific absorption rate (sar), for cell phones and mobile base stations (see Safety limit). Implementing these limits has, however, been tricky. Draft guidelines on electromagnetic radiation from mobile phones have existed since 2006, after the Supreme Court sent notices to the central government asking about regulations on radiation from mobile handsets and base stations. In September 2007, representatives of telecom equipment manufacturers and service providers were asked to comment on a draft, prepared by independent technical consultants and officials of the Telecommunication Engineering Centre (tec). These guidelines were based on who recommendations and icnirp guidelines. Down To Earth has three versions of the guidelines. Industry was fidgety right from 2006, the beginning. The Cellular Operators Association of India (coai), an association of gsm operators, asked for numerous changes in the first draft. Most concerned the health of children and pregnant mothers, and hospitals. Other opposed guidelines included giving the sar value as a menu option in cell phones or on screen. After receiving industry comments, tec brought out a second draft in February 2007. Guidelines on the safety of pregnant mothers and children are deleted here. The September 2006 draft had recommended "manufacturers should avoid promotional advertisements showing vulnerable segments like children, pregnant women, etc. using mobile phones." On this, coai commented, "Such a stringent recommendation without any scientific rationale will surely raise concerns amongst public/media. Moreover, no country in the world prescribes such restrictions on advertising." This recommendation has been deleted from the February draft. Also, the sar value will now only be printed on the user manual and on the company's website. The second draft asks for a conformity assessment body, to ensure operators and manufacturers conform to standards. Apart from directives on sar and power density, both drafts recommended safety guidelines to set up base stations, like maintaining a minimum safety area around mobile antennas, training persons who handle and repair antennas, fencing the site of antennas and signage warning of radiation. The assessment body was to ensure companies conformed to these regulations, and carry out mandatory testing of mobile towers and handsets. Cellular operators are opposing mandatory testing. Both in comments on the draft guidelines as well as in a tec meeting on February 29, 2008, they argued against forming the conformity assessment body. The operators wanted the entire paragraph on the regulatory body be deleted, proposing self-certification. coai has written to the telecom ministry against the formation of the body, as well as regulatory measures. According to an official in the telecommunication department, the ministry may reach a compromise where the clause for mandatory testing will be replaced by self-certification. The role of the conformity assessment body will be reduced to random testing. 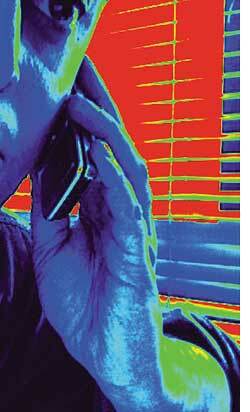 Telecom industry bodies are evasive on the issue. N K Goyal, honorary chairman of the Telecom Equipment Manufacturers Association, refused to comment on mandatory testing of equipment and power density, but said icnirp guidelines should be followed. (icnirp guidelines allow for self-certification.) Pankaj Mohindroo, chairman, Indian Cellular Association, concurred. Regarding mandatory testing of mobile phones, he insisted reputed manufacturers like Nokia, Samsung, Motorola and lg had sar values much below safe limits as these phones were manufactured in countries which had adopted icnirp guidelines or had their own guidelines. He added there was no conclusive evidence of any damage of cells or tissues in human beings from cell phone radiation. On November 26, 2007, in a meeting organized by tec and attended by industry associations and consultants and scientists, it was unanimously decided to adopt the icnirp guidelines to protect the public from electromagnetic radiation from cell phones. The biggest stumbling block in framing a policy is lack of scientific study on the effects of electromagnetic radiations. Only animal studies have been conducted at the Department of Environmental Sciences at Jawaharlal Nehru University, New Delhi. J Behari, who headed the experiments, says conducting long-term studies on human beings is not easy because it is difficult to control their environmental conditions. Behari's team found when rats were subjected to 35 days of low-intensity microwave of 2.45 GHz and 16.5 GHz, with sar value of 1W/kg and 2W/kg, they developed single-strand dna breakages, low sperm count and smaller testes. According to the team, " dna damage in (human) brain cells could affect neurological functions and possibly lead to neuro-degenerative diseases." The Indian Council of Medical Research (icmr), on instructions from the Union health ministry, plans a long-term epidemiological study to understand the effects of mobile phones on human health. The study may be the largest in the world with over 4,000 subjects. According to R S Sharma, deputy director general of icmr, the study will look at heavy users, medium users, a controlled group and a women group who use mobile phones frequently. The study will be for at least five years and it will be performed in collaboration with the All India Institute of Medical Sciences, Delhi, and jnu. "Most cancer-related diseases have latency period of at least 10 years, hence we are aiming for a long-term study," Sharma said. Admitting that the study of this magnitude was extremely difficult to carry out, he said if necessary armed forces personnel would be used as study subjects.